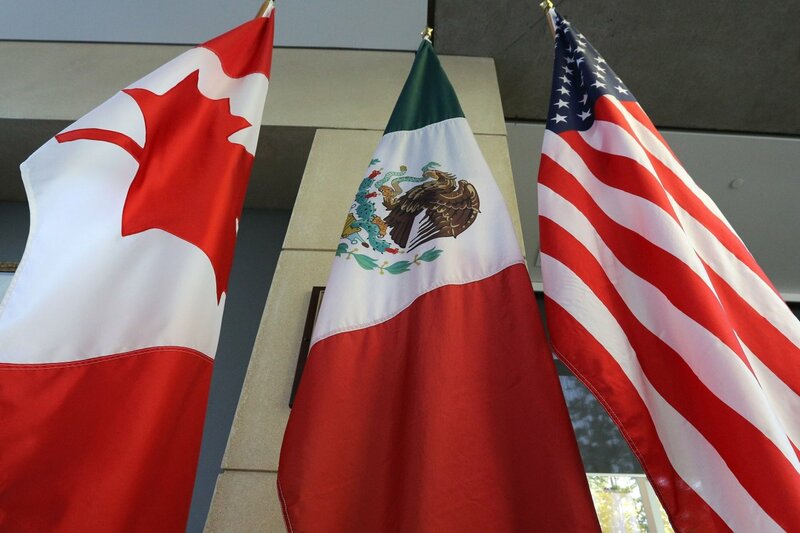 The United States and Mexico reached an agreement on Monday that will replace the North American Free Trade Agreement and put pressure on Canada to agree to new terms with the aim of reaching a final deal by Friday. U.S. President Donald Trump and Mexican counterpart Enrique Pena Nieto said that negotiations with Canada would start immediately, however, Trump threatened tariffs on Canadian auto imports if a trilateral deal could not be found. “They used to call it NAFTA. We’re going to call it the United States-Mexico trade agreement. We’ll get rid of the name NAFTA,” Mr. Trump told gathered reporters, explaining the name had a “bad connotation”. NAFTA negotiations have been ongoing for over 12 months in an attempt to modernize the tri-country agreement that launched in 1994, but continuous threats by the U.S. president has hurt markets and dollar values in both Canada and Mexico. Canada is encouraged by the new developments and will continue to negotiate for a deal, but will only sign onto an agreement that is good for the country, a spokesman from Global Affairs Canada said soon after the news broke. “Progress between Mexico and the United States is a necessary requirement for any renewed NAFTA agreement. We are in regular contact with ur negotiating partners, and we will continue to work towards a modernized NAFTA,” Adam Austen told Reuters. Markets in all three countries opened higher on optimism over a trade deal that would bring some stability to the economic uncertainty caused by the talks. “A big deal looking looking good with Mexico!” Trump tweeted on Monday morning. Mexican President Enrique Pena Nieto will be able to sign onto the deal before he leaves office on Dec. 1, and it is expected that Trump will send official notice to the United States Congress within the week to formally signal an intent to sign a new trade deal. However, it is not yet clear how or when Canada will rejoin the talks. Supporters of free college do not recognize that the economic detriments far outweigh any possible benefits of the proposal.